In representing the best interests of the dangerously indebted Auckland Council, Alexandra Holley & Catherine Te Reo of the Auckland Council funded South Harbour Business Association’s, (SHBA) are promoting the Council’s plan to expand the SHBA BID area into Favona. The BID Expansion ballot can be decided from as few as only 25% of local property owners & businesses placing their votes. If 51% of that 25% (say …. 14%) of local property owners / businesses vote “YES” for the BID expansion, that tiny number of local property owners / businesses will bind ALL other local businesses in the area to the BID expansion. Has this ballot section of the BID policy been designed by Auckland Council to assist Auckland Council / SHBA succeed with their BID expansion plan result?? It will ONLY backfire on Auckland Council if the majority of local businesses & property owners vote “NO” in the BID expansion ballot! If the 51% of the 25% of local businesses vote “YES” in the ballot, then irrespective of whether or not property owners or business tenants join SHBA, ALL local businesses / property owners MUST fund SHBA every year. 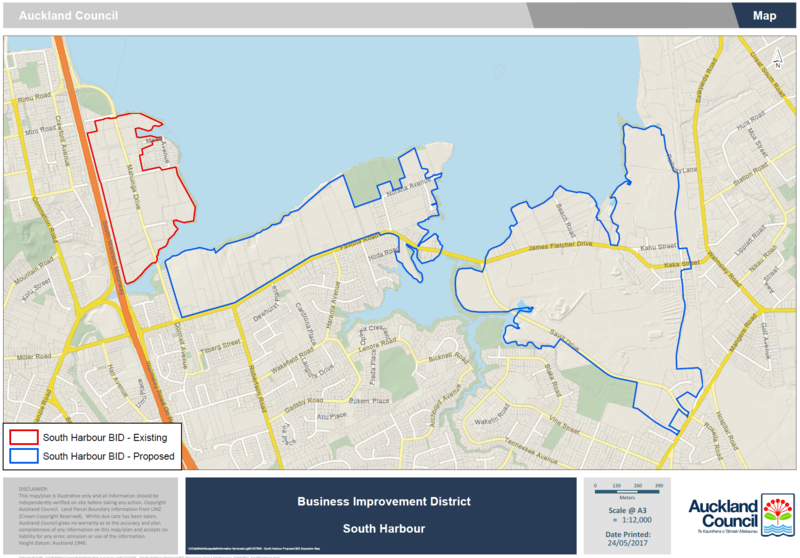 ← Auckland Council BID (Business Improvement District) Expansion – Beware!